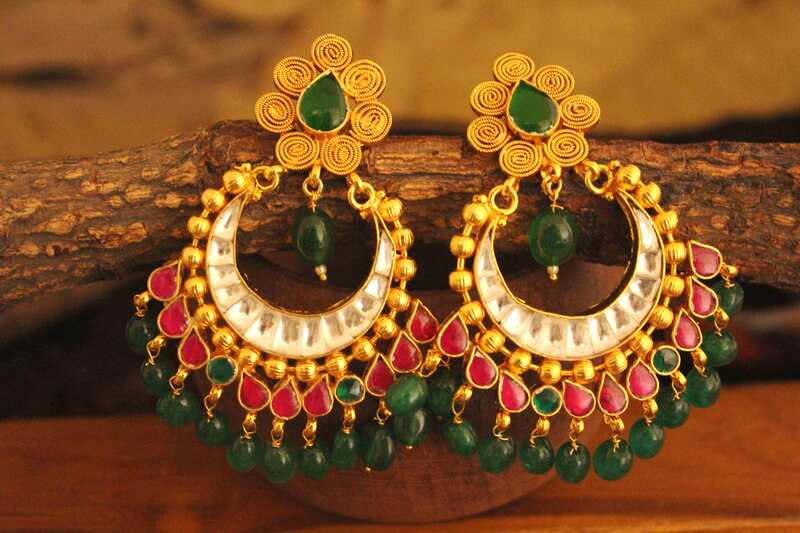 Dwarkesh Jewels presents latest collection of Indian designer earrings for women and girls. 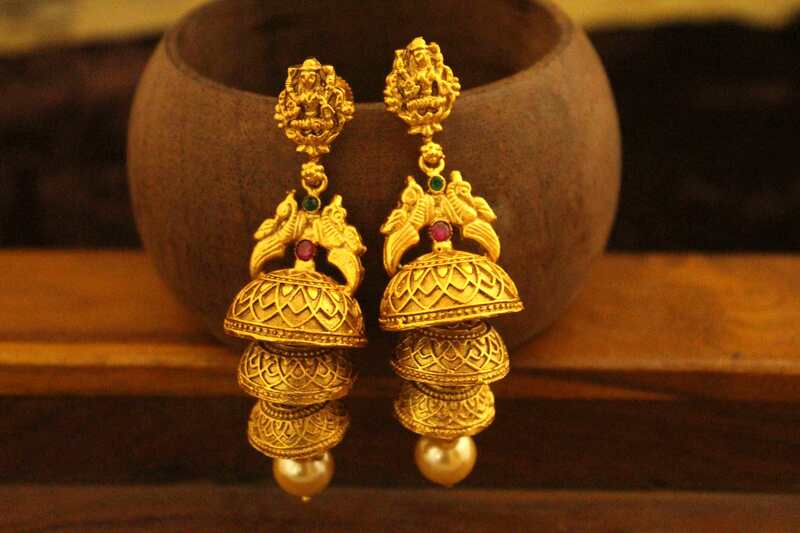 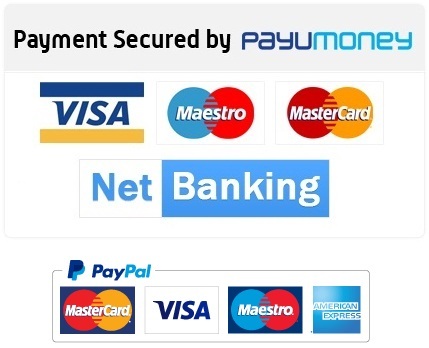 Here you can find unique, stylish and handmade Kundan Earrings, Golden Earrings, Zumar Jhumka and American Diamond earrings at best price online. 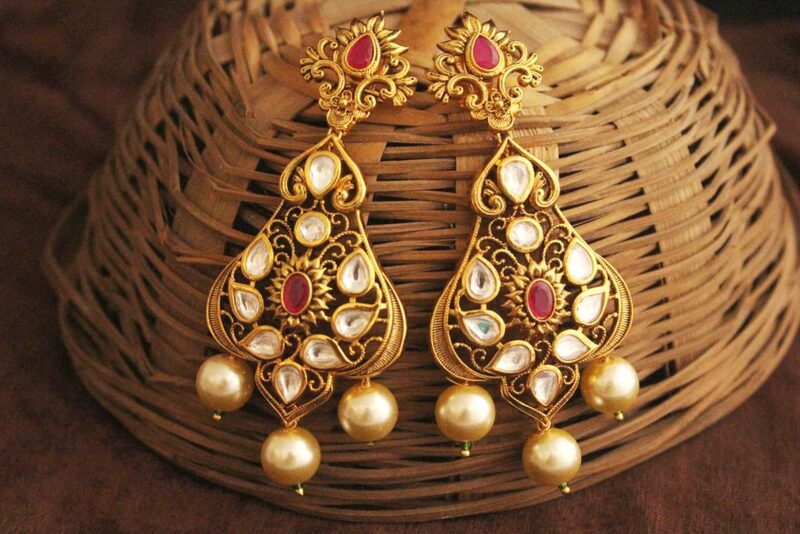 Totally elegant collection of antique earrings or vintage earrings only on Dwarkesh Jewels.